Larry Freund and Ray Stults; both received their initial training at Moler Barber College, which was founded over 100 years ago in Fargo, ND. Together they started Dakotas in the early 1960s and have been an institution in the Land Park, Hollywood Park and Curtis Park neighborhoods ever since. Their training has continued over the years at various specialized Redkin seminars and through personal training sessions. These have included learning the latest in various coloring techniques, as well as specialized training in "Color Camo"; a process that can subtly "camouflage" greying hair. They continue to refine their styling and coloring skills. 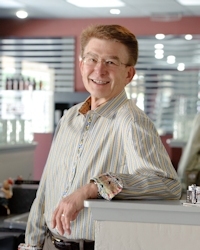 Ray has also served on the California State Board of Barber Examiners. 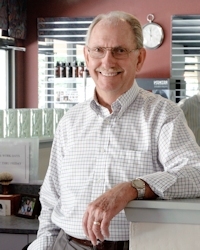 Larry and Ray are actively involved in both the Sacramento and their local communities. They are local people that care about their community, their profession and their customers.